Rosa, the CHRO of Ellery Consumer Research Group, cares intensely about her employees. There are 600 of them, spread out over offices in three states. She thinks telecommuting leads to wasted time. She knows employees lie, cheat and steal. But she is friendly, she is thoughtful, and she is generous with extended leave when there's a family emergency. She loves her job: "I'm like the Wizard of Oz, handing out hearts, brains and courage to people in need." She dreads retirement. What would she do instead of this job? "Knit? Become a throwaway person?" She wants her employees to work hard, achieve excellence and be rewarded for it. But she must balance what she wants for them against the day-to-day and long-term needs of the struggling business she works for. In Jillian Medoff's new novel, This Could Hurt (HarperCollins, 2018), Rosa is a relatable 60-something widow who has worked her way up the executive ladder. Now, for a variety of reasons, she has to consider what legacy she will leave behind. The CEO (who, by the way, brought Rosa in from another company where he was a young go-getter and she was his seasoned mentor) needs Rosa to make hard decisions. Which Rosa can do. Or, at least, she has done so in the past. But something is wrong with Rosa. She's forgetting things, she being weirdly contradictory and accusatory, and she's out of the office now more than she is in it. Rosa is seemingly not the same person that she has been for years and years. What is going on? -- Lucy, VP of communications, a super-capable achiever who is brusque and demanding and who may have reached her peak at this particular company. -- Rob, associate director, a kind but lazy employee who fell into HR. Now working in recruiting, his heart breaks for every candidate he has to reject. And did I mention lazy? Oh, so lazy. -- Leo, VP of benefits, whose job at Ellery is basically his whole life. He's loyal to Rosa, but maybe too loyal? -- Kenny, manager of compensation, who experiences a one-two punch of crushing personal rejection and then a degrading quasi-demotion, which turns out to maybe be just the kick in the pants he needed to start facing reality. -- Katie—or, as Rosa prefers to call her, "Katherine"—the sweet, helpful and moldable new assistant showing up early every day in her cheap, poorly fitting outfits. This is at heart a novel about loyalty and the different ways it affects workplace relationships of all kinds. The loyalty you have for your boss, your employees, your colleagues and even for that random guy who works in the basement whose name you don't know but who's been here for 10 years. How much can you really trust them? How far would you go to protect them? Would you put your own career or reputation on the line for them? It's a rare realistic look into a fictional HR department and what makes it tick. There are entire sections—like the fictional company's multiple and hilarious foiled attempts to field a successful employee engagement survey, or the tale of a group of employees plotting to inhabit a vacant floor—that will have HR pros laughing in "OMG so true!" agreement. But, for sure, some pages will have those same HR pros recoiling in horror. Wait, no, Rosa! Don't do that! No, you can't save them all. But you can be entertained by Rosa and her devoted staff's efforts along the way. 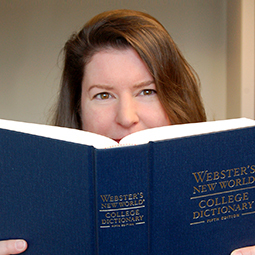 Gretchen Kraft is an avid reader who manages SHRM's copy desk.